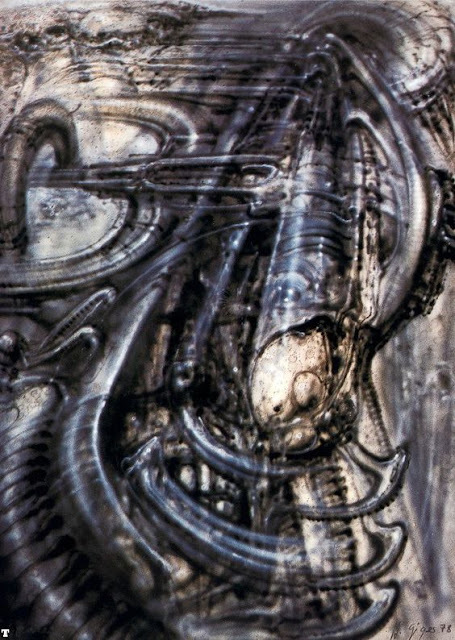 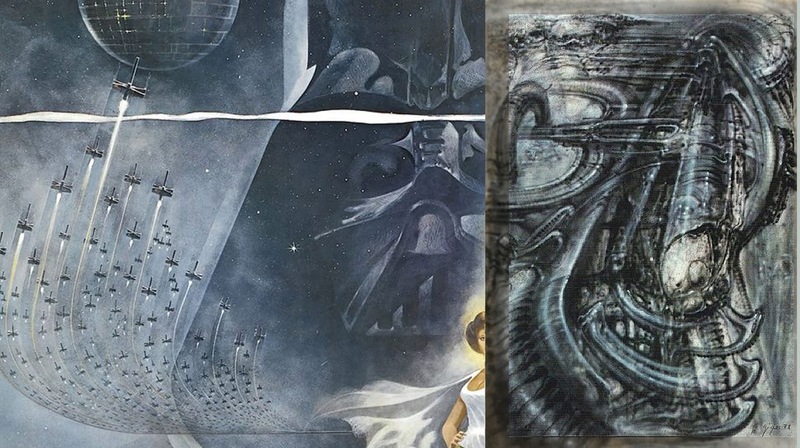 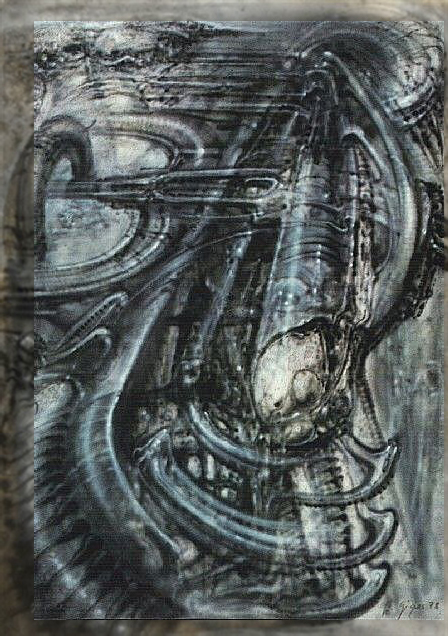 Alien Explorations: HR Giger's Space Trip I (1978) references Star Wars poster (1977)? 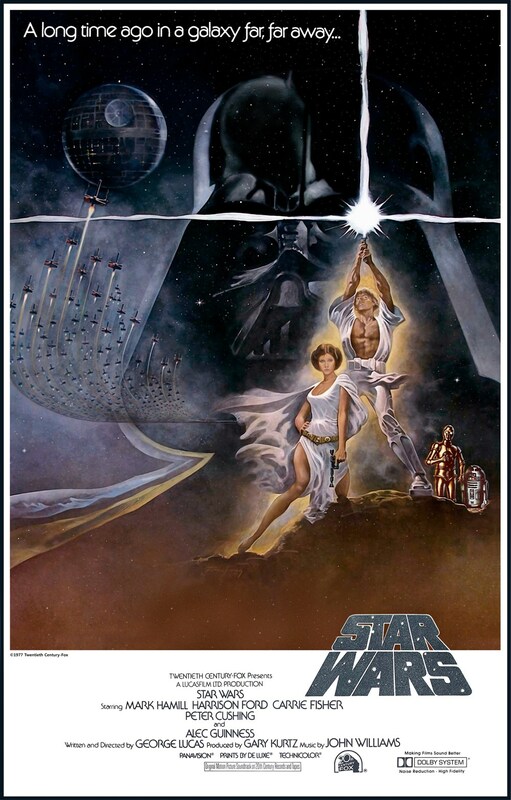 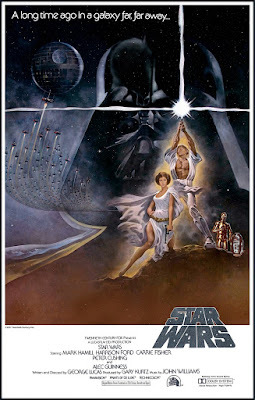 references Star Wars poster (1977)? I saw this Star Wars poster posted this morning on Facebook, and suddenly realised that it would have been an ideal poster for HR Giger to biomechanise, then I checked to see if there was something that Giger had done like it but couldn't find anything, but lo and behold in the evening, I found the painting, Space Trip I by H R Giger).